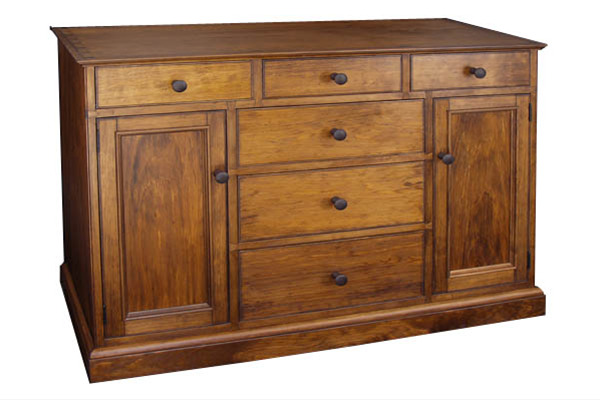 Classic country pine sideboard. Based loosely on a hutch the client had in the same room and a remembered piece of furniture from a former house. A warm, traditional functional piece. 20" x 60" x 34.5"